Parisa Yaaseen, Emerging Fashion Designer, Dubai. I stumbled across this intriguing fashion talent Parisa, a Dubai based fashion designer whose designs are eye catching to another level! She explores ideas that have a balance between figurative and abstract, playing with colours is the highlight in much of her works, mostly manifesting playfulness and innocence. The aesthetics and lively spirit of youth culture is where her passion comes alive. I caught up with her over email and quizzed her on her incredibly bold collection, what inspires her and makes this brand new designer tick. Why did you decide to get into fashion and what do you love about your job? 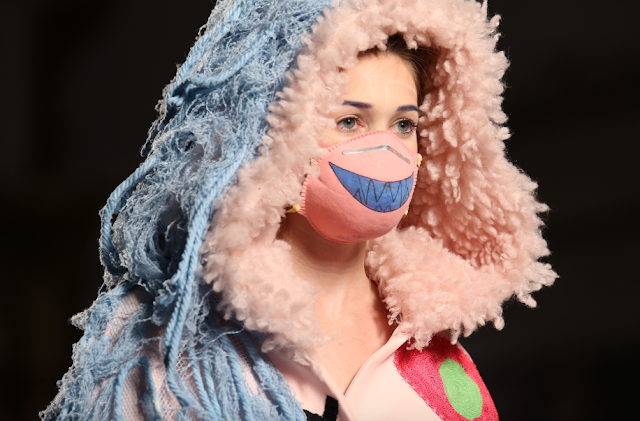 Initially I was going for fine arts but after doing a little research I realized fine arts is too boring for me so I decided to go into fashion where there is chaos and fun. Fashion design is like a dress up game, I think it's an art form that everyone needs. For instance, not everyone will need a painting or a sculpture but they would definitely need some clothes to put on and style themselves. I wake up very early, sometimes at 5 am only because I can think more clearly in the mornings. I have my little breakfast quickly and start working until 3pm, if I really love the project then I keep working until late night. What's been your highlight since starting? Art films and music videos, performance art in general. 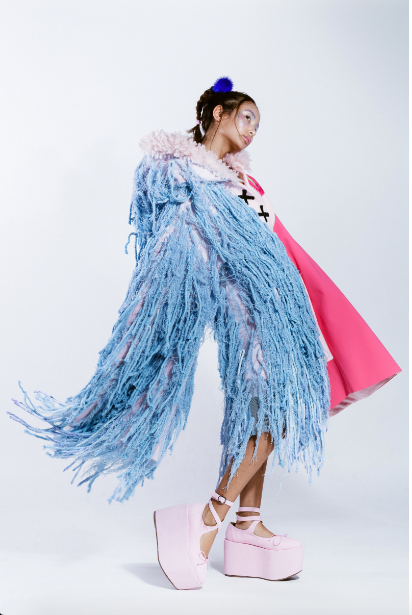 My graduation collection is immensely inspired by an Electro-pop musician known as GRIMES, she inspires me a lot. she's like the living late-90's goth anime character. I also really admire Nick Cave's Soundsuit performances. What other designers do you love at the moment? My favorite designers at the moment are Josep font, Issa grimm, Cassandra Verity Green, Carmen Channers and Kenzo. My laptop + the internet, money, coffee, food and my car.